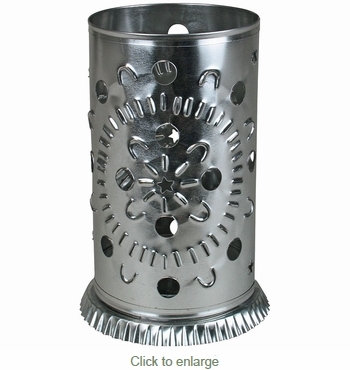 These beautiful natural tin luminarias make great gifts or an attractive display of light in your own home. Each decorative luminary is hand cut and hand punched one at a time by Mexican metalcraft artisans. Sold in Packs of 2. Use the quantity box for the number of packs of 2 you would like to order.